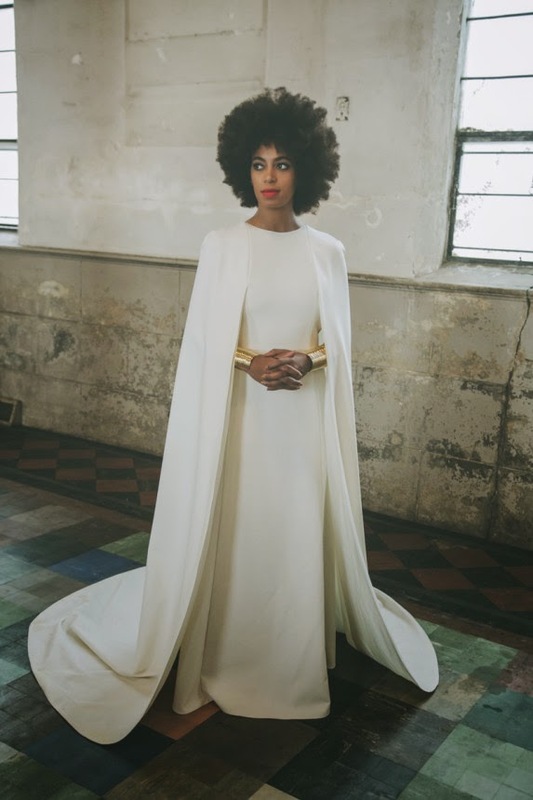 I absolutely LOVE, LOVE, LOVE Solange's rebellious bridal looks! Yes looks--because she had two fierce bridal ensembles. 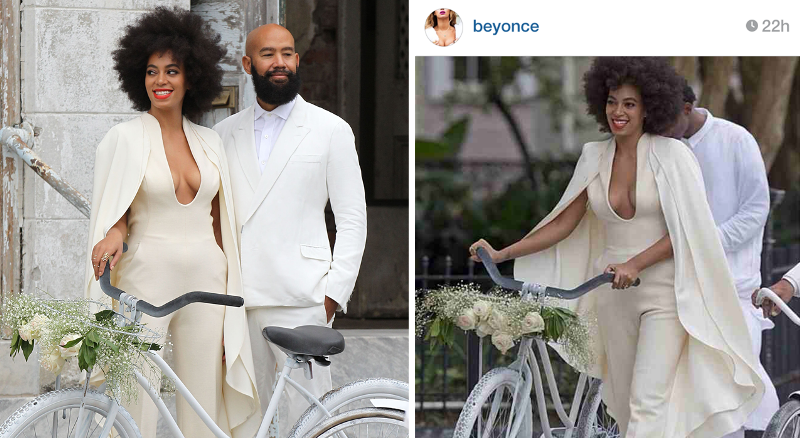 "Eschewing the traditional stretch limo, Knowles arrived at the ceremony in the Bywater district of the city on a white-painted bicycle decorated with cream roses and wearing an ivory-toned look by Stephane Rolland (note to modern brides, a jumpsuit won’t get caught in the spokes). 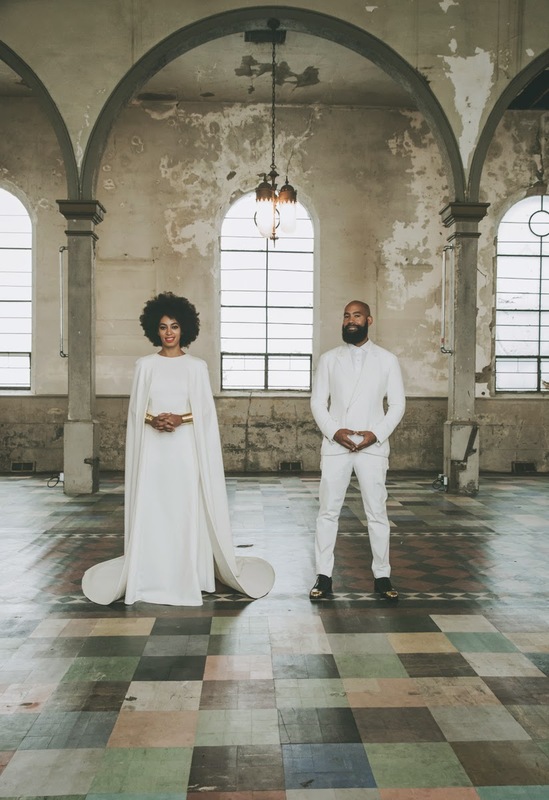 She walked down the aisle to one of the couple’s favorite songs, a symphonic instrumental of Donny Hathaway’s, “I Love the Lord, He Heard My Cry.” With performances by musician friends Kelela, Questlove, and Kindness—and an adorable dance-off between Knowles and her ten-year-old son Daniel Julez to “No Flex Zone,”—it was truly a family affair.​"
I love everything about Solange's wedding and it's unfortunate that a lot of people don't agree. I used to think that US is more forward thinking compared to Asia when it comes to weddings--but more and more I am learning that there's a lot of "bride bullying" in the western hemisphere too. 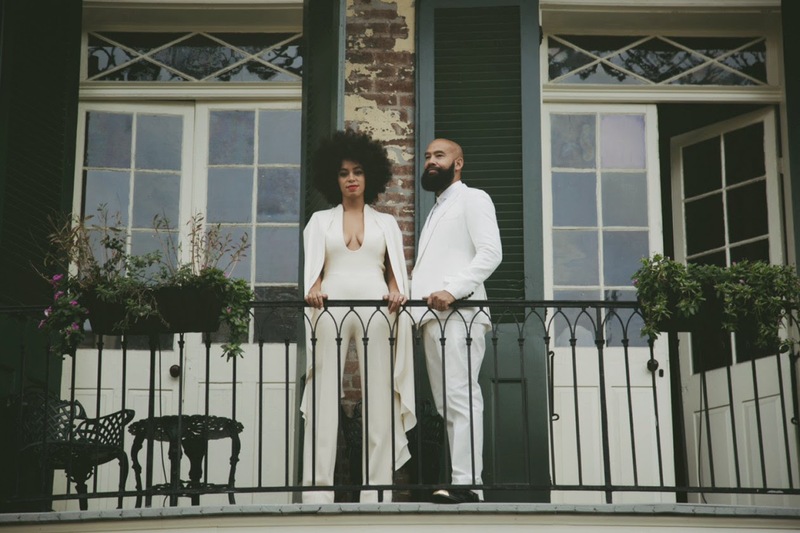 I've read a lot of negative comments about this wedding--that the photos look like a photo shoot and it doesn't even have any emotions in it. But I loved it to bits--the photos actually paint and say a thousand words. Of women empowerment, of love, of well-thought out details, and elaborate passion. 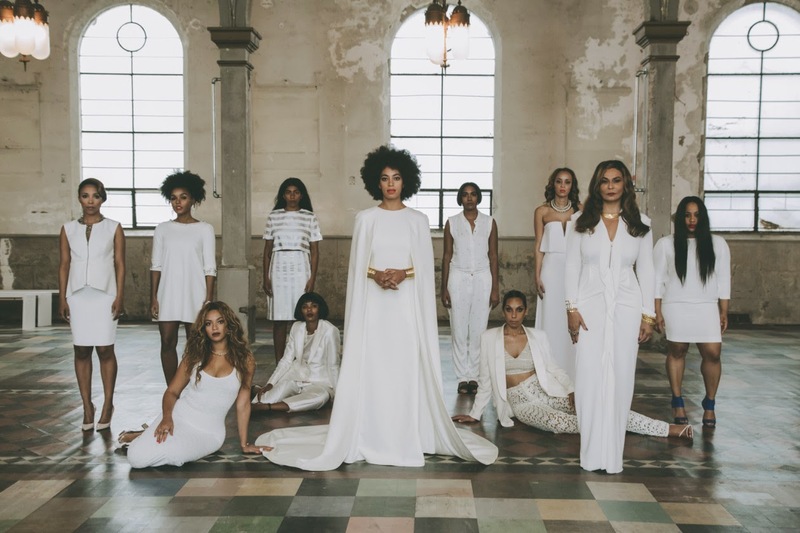 The bride had a vision and she carried it with a lot of soul and flavor. It's her personality and I respect that immensely.